From braids to dreadlocks this wonderfully playful and colourful picture book highlights the beauty and diversity of black hair. The text is simple, light hearted in tone, sometimes rhyming and the illustrations will raise a smile. 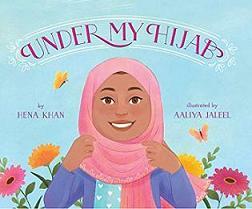 A book to foster pride and confidence in themselves for young girls.